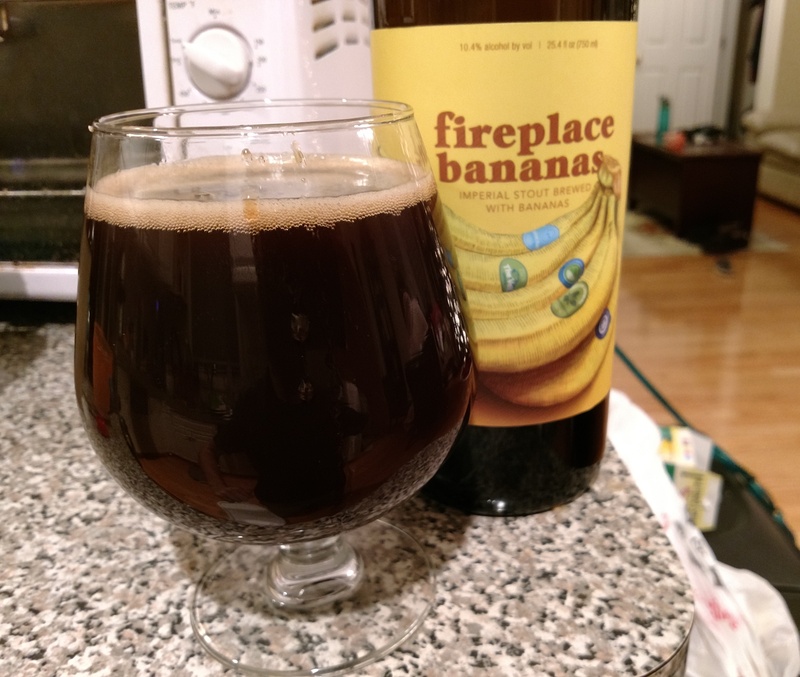 Apparently we’re putting bananas in stouts now. Not the craziest thing I’ve heard lately and it gave me a good excuse to go for a walk to the brewery. At the very least I figured it would be something different. It sure sounded intriguing. Description: You can find a rather lengthy description and background of this beer on the Trillium website, but in a nutshell what we have here is a stout fermented with a whole lot of “advanced banana product.” The bomber cost $16.05, which is about mid-range for their bottled releases. Appearance: Murky dark brown body topped by a thin line of thick yellowish-tan foam. Smell: Sweet, with hints of banana and light roast. Taste: A really interesting blend of sweetness, roast, and bananas. The brew started out with ripe bananas and chocolate leading the way. From there it took on more of a banana bread flavor in the middle. As it approached the finish, it turned a bit more roasty with notes of bittersweet dark chocolate and definitely a bit of heat on the end. The longer the beer sat, the stronger the roast and heat on the finish became. Mouthfeel: Thick, heavy body and minimal carbonation. Hype: Apparently rather high, which makes sense considering the scope of this collaboration and the breweries involved. Also of interest to me, the early reviews I saw were very divided; some people loved this while others denounced it as running on hype alone. My curiosity was even further piqued. Overall: Put me in the faction of people who liked this beer. It had the perfect amount of roast for me and I really enjoyed the combination of sweetness, heat, and banana goodness. It brought to mind chocolate covered banana bread with a slightly boozy twist. It’s not really the kind of beer you need a lot of in one sitting, but I definitely enjoyed it in moderation as a dessert beverage. Props to the brewers for being adventurous. This easily could have been just another “New England” IPA, but instead they did something different. It might not be the beer for everyone, but I’d it sounds intriguing to you I recommend giving it a go. My 16 month old, who happens to be named Jack, was way too excited when he got a glimpse of this bottle. Not sure what he was expecting, but it’s not happening. 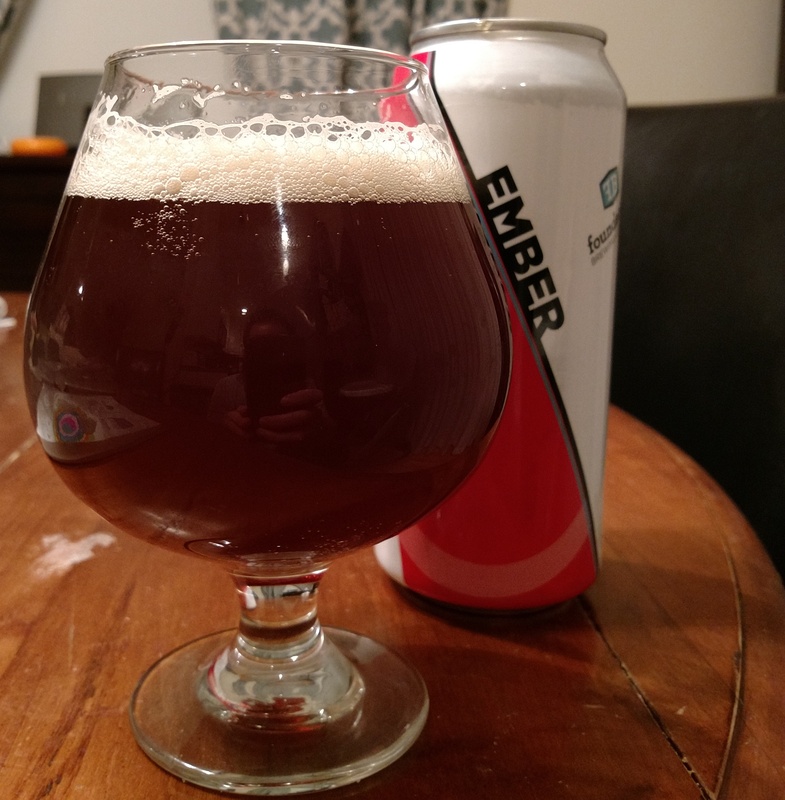 Description: Per the brewery website, this barleywine was aged in bourbon barrels previously used for aging their delicious Framinghammer Baltic Porter. Appearance: Body was a dark maroonish-brown with a short lived bit of sudsy beige foam. Smell: Sweet toffee and bourbon heat. Taste: Toffee and molasses are the initial tastes before the bourbon came in around mid-sip to add some nice warmth to the initial sweetness. Finished hot on the bourbon with undertones of oak, mild sweetness, and a slight leathery presence I couldn’t quite pin down. Mouthfeel: A few notches above medium bodied. The carbonation was minimal and really only apparent at the very end. Hype: I was excited for this. 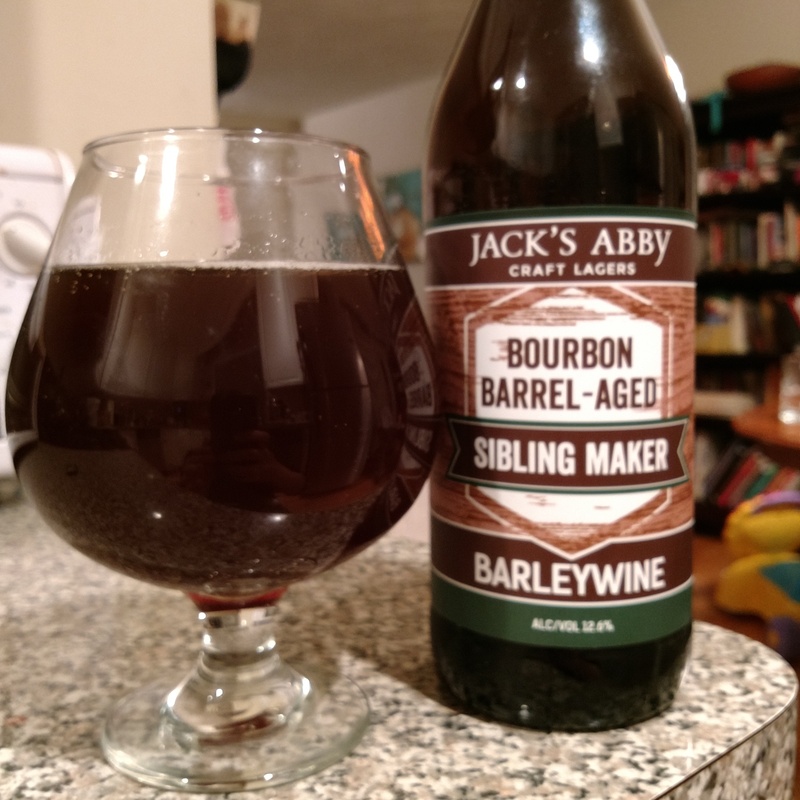 I really liked the previous “Maker” brews and Jack’s Abby generally does an excellent job with their barrel aged stuff. Overall: Very good, but it didn’t quite blow me away. The boozy finish was just fine by me, though I would have preferred just a bit more sweetness to go with it and that leathery taste on the very end threw me off a bit. Still had a great evening sipping this after Thanksgiving dinner. It was an excellent way to end the day. I found out recently that this is looking like it will be the second to last Barrel Society brew ever since the brewery is taking the membership in a different direction for next year. With the end of an era fast approaching, I took advantage of a day off and swung by the brewery to check this out on tap. 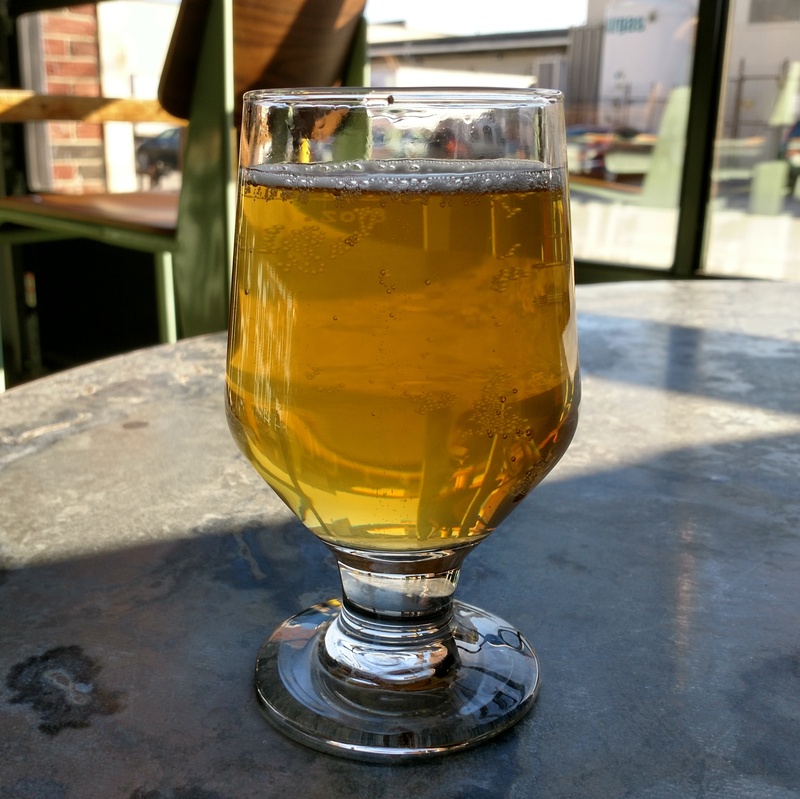 Description: I present to you, the brewer’s notes: Macbeth pours bright yellow and glows as it hits the glass. On the nose, it sports bold notes of grapefruit zest and Sauvignon Blanc, supported by funky Brett character. Once you sip, you can expect notes of lemon, vanilla, and ripe grapefruit pulp; with an earthy quality from the Brettanomyces, and a lingering oaky finish. Appearance: Light, easy to see through golden-yellow body with some small bubbles lazily running up the sides. White foam formed up top around the edges of the glass only. Smell: Tart and (citrus) fruity. Taste: Subtly tart throughout, the lemon was definitely the standout taste with grapefruit pith more in background. The finish was crisp and dry in a way very reminiscent of white wine. There was a slight bit of funk on the very end. Mouthfeel: More or less medium bodied, with a bit that slightly syrupy finish I tend to get from sours. Moderate carbonation towards the end. Hype: Always elevated for these releases, though I think this one and the next will have very high expectations. Hoping for the series to end with a bang. Overall: There’s a small part of me that’s all little bit disappointed that this wasn’t a Scottish ale, but I can get over that. I really enjoyed this brew and found it refreshingly light and delicious. This was probably as good as the style gets for me and I was really impressed with how well the wine barrel aging came out in this beer. Although I’d personally consider this more of a spring or summer beer myself, it would fit in nicely on any occasion where one might consider a glass of white wine as well. This was something of a surprise pickup for me. I went into the store with a plan to focus on more seasonally themed brews, but then I overheard two customers talking about a red IPA they saw on the shelves. Have I mentioned that this is my favorite style? Description: A red IPA said to blend big, sticky hop flavors with tropical fruit. You can get more of the details here on the website. Canned on 10/09/2017. Appearance: Light brownish/red body with almost a finger’s worth of light tan head. Smell: Sticky sweet tropical fruits mixed with piney bitterness. Taste: Aggressive, raw pine sap bitterness right from the start that was quickly joined by a tropical fruit sweetness. These flavors lingered on into the finish where they were joined by light, crackery malt base and a slightly floral hop presence. Mouthfeel: Medium bodied with a slightly more than moderate amount of carbonation. Hype: Generally elevated. The brewery has a pretty solid reputation in these parts and it’s a fairly recent development for their cans to see distribution. Overall: Good, but not quite what I expected from red IPA. The bitterness level was a bit elevated for my preference, especially since it was dialed up way higher than the sweetness. I did like the introduction of tropical fruits to the mix though, and this gets bonus points for the Emberer Palpatine pun on the bottom of the can. I think hopheads and people less picky about red IPAs would really enjoy this; I just happen to have very particular expectations for the style. 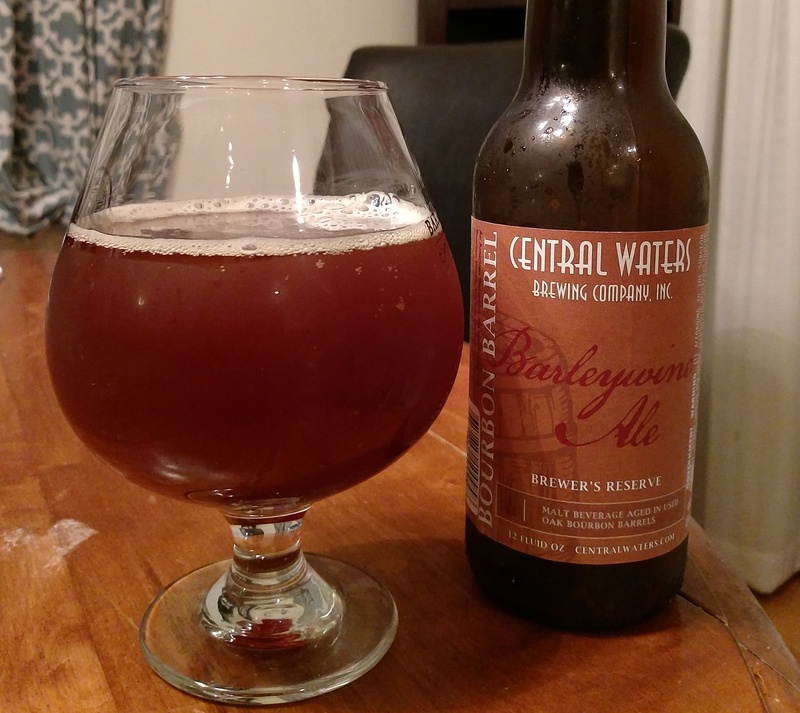 This next beer is another offering from the Central Waters Brewer’s Reserve Series. It was last Christmas that my wife got me interested in this series when she picked me up a Scotch ale and a stout that were both fantastic, so when I saw this one I had try it out. Description: From the 2017 vintage, this American barleywine was aged in used oak barrels. You can read a bit more about it all here. Appearance: Light brownish/dark copper body with thin foamy white head. Smell: Warm aromas of sweet toffee and bourbon. Taste: Sweet upfront, featuring a delicious blend of toffee, brown sugar, and dark fruits. This was followed by a huge kick of bourbon around mid-sip. The finish was sweet and hot with minor oak barrel notes coming through on the end. Mouthfeel: The body had a medium-plus thickness paired with low levels of carbonation. Hype: I can’t really speak for the beer community at large, but I had high hopes for this. I’ve been getting in barleywine lately and I’ve been really impressed with this brewery so far. Overall: Really tasty, though this one did sneak up on me a little bit, especially with the ABV not appearing on the bottle. Warming and delicious, another excellent beer from this series. The first Friday in November saw the triumphant return of work beers! This time around we went with an old favorite of mine. Description: The brewers give a pretty beautiful description of the beer here on their website. For my part, I grabbed the best glass available at the office to watch the magic of the pour in action. My can had a best by date of 01/28/2018. Appearance: Thick, creamy brown body intermingled with tons of foam. Once the foam settled, the beer was left with a dark black body topped by a thick tan head with near whip cream consistency. Smell: Primarily sweet cream, backed by a bit of chocolate and coffee. Taste: Sweet and creamy throughout, at various points along the way it picked up notes of rich, dark malts, chocolate, and very subtle coffee. The finish was creamy with the slightest amount of light coffee. 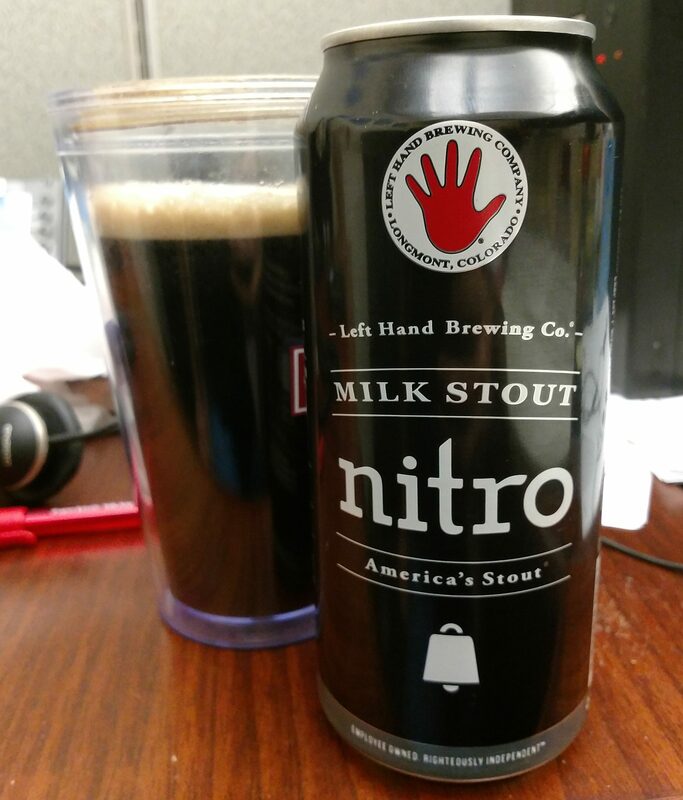 Mouthfeel: The body was ultimately on the thinner side, but the nitro gave it a heavier, creamy feeling. Minimal carbonation. Hype: No hype, just a readily available brew that’s earned a solid reputation. I first had one of these about five years and have never stopped liking it. Overall: Every bit as good as I remember. Creamy and smooth with mild amounts of all the right flavors, this beer is pretty much my archetype for the style. Do yourself a favor and don’t pass this by. I picked up this next book looking for a bit of local history. WBCN was my go to radio station during my middle and high school years and in many ways helped set the soundtrack of my youth. On car rides, in my room doing homework, or even late night in bed when I probably should have been sleeping, “The Rock of Boston” was there. The book was written by Carter Alan, author and former WBCN DJ. Chronicling an oral history of the station from its founding in 1968 to the final sign off in 2009, the book’s narrative guides the reader through the history of the station by infusing the author’s own insights with a generous mix of quotes and stories from the people who were there. What emerges is an interesting portrait of everything from the station, the evolution of the radio business, and, of course, the music. I had a great time reading this. The author’s enthusiasm was infectious and the story was well crafted and interesting throughout, though undeniably reverential. For me there were two distinct parts to this story, the first of which being the history of the station from before I was alive or listening. Going into this I knew very little of the station’s past or how it had grown into the local institution I knew it to be. I found the idea of it starting as a fledgling experiment in freeform radio really intriguing and had no idea how political the station was originally, having taken an active voice in opposition to US involvement in Vietnam and advocating on behalf of a variety of social justice issues as part of its regular programming. The second part of this story began for me once the book got into the late-80s and 90s. It was around here that my own feelings of nostalgia took over as I was able to recognize more of the bands and on-air personalities. I found myself recalling many of the sounds of those years; from vague memories of the station’s 1988 anti-Apartheid campaign, complete with on air calls to boycott Shell Oil, to the infamous “Lunch Song” parodies and even the old station IDs. It was also a lot of fun getting the backstories of some of the hosts I used to listen to like Oedipus, Bradley Jay, Juanita, Melissa, and (my favorite) Nik Carter, which in many ways felt like catching up with old friends. I’ll admit I even got a bit fired up recalling the mid-90s feud between BCN and Worcester-based WAAF (a big part of which was fueled by WAAF shock jocks Opie and Anthony attacking on air one BCN DJ for being gay and another for being black). It was during this time period that I started going to concerts and I have BCN to thank for more than a few of my most memorable shows; including my very first one (Gravity Kills at the Middle East in Cambridge), an intimate evening with the Smashing Pumpkin at the Orpheum Theater in Boston, and Cypress Hill at an all day festival in the Foxboro Stadium (the predecessor of Gillette Stadium). Unfortunately it was also during this era that the seeds were sown for the station’s eventual demise. The radio business was changing and several programming decisions began to slowly alter the audience, tone, and direction of the station. I can’t help but feel slightly vindicated in that the programing decisions I hated the most as teenager (namely picking up the Howard Stern Show and airing New England Patriots football games) were ultimately contributing factors despite being huge financial boons at the time. Even though it ended with the station’s eventual demise, I thought this book was a great trip down memory lane and I read it with a smile on my face the whole time. If you’ve ever spent any significant amount of time in Boston and regularly tuned into the station, this book is for you.